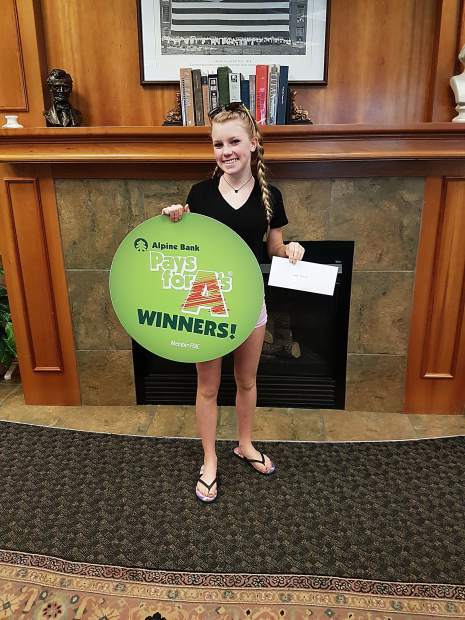 Alpine Bank congratulates Taylor, one of the most recent Pays for A's winners. To enter Alpine Bank's Pays for A's drawing, drop-off one report card to your nearest Alpine Bank location. The next Pays for A's drawing will be held June 19.